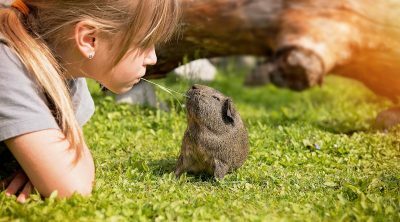 Lettuce is wonderful leaf vegetable used in salads, soups, wraps and sandwiches and it can even be grilled but can guinea pigs eat romaine lettuce? This variety is used mainly for salads and sandwiches and it has a long upright head. 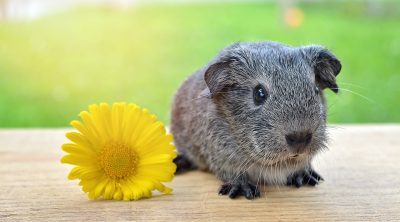 Caesar salads wouldn’t be what they are without this lettuce and it is also very nutritious for us but let us find out more about what it contains and how a guinea pig will react to this veggie. Romaine lettuce is darker than its other varieties such as the iceberg one and this is due to the higher content of the provitamin A compound called beta-carotene. It is also a great source of vitamin K and vitamin A along with folate and iron. 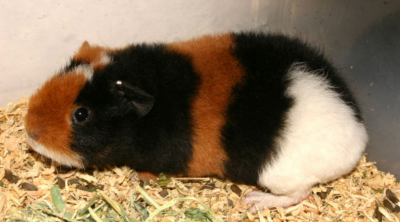 All of these are healthy for us and for out pet too but the thing they need most is vitamin C since guinea pigs cannot synthesize this element themselves. 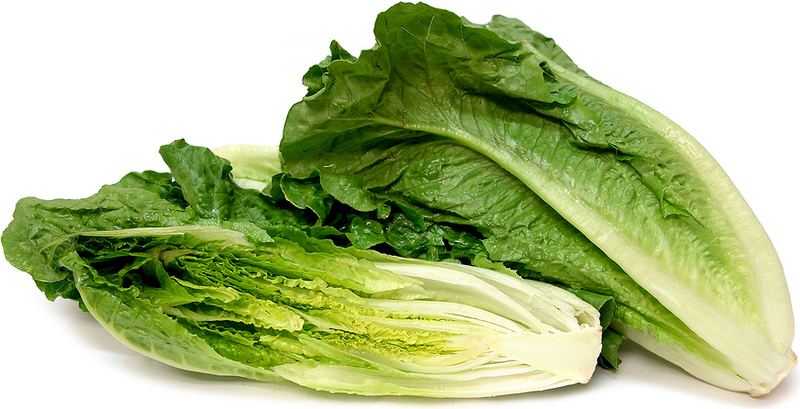 Luckily there is plenty of vitamin C in romaine lettuce too and so this is another plus for this vegetable. A long deficiency of vitamin C will weaken the immune system of your pet and scurvy is also a threat in that case. To add to all that, a vitamin C deficiency means that collagen won’t be produced in their body and this is very important for bone and tissue formation so you will notice degradations on their skin along with severe joint pains. 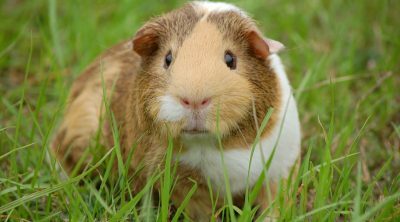 Other varieties of lettuce, namely the iceberg kind, are much poorer when it comes to the nutritional value they offer so they are considered as just empty calories for your pet, meaning that you should avoid them. 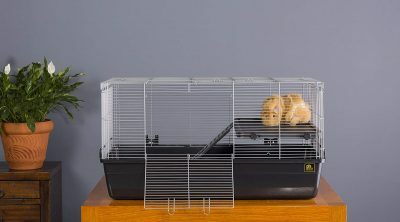 Due to the benefits it provides and the lack of any negative effects (if served moderately and if it comes from fresh, reliable sources), you could incorporate the romaine lettuce into the daily meal of your pet but as a side dish to their usual meal. Always start with small quantities and gradually increase them if you see that there aren’t any adverse symptoms. 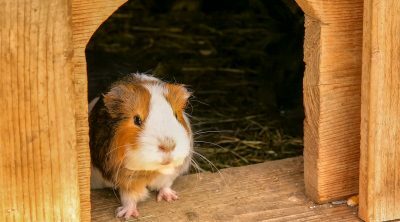 The signs that the pet doesn’t tolerate the food usually mean diarrhea but some pesticides can have even more serious effects so don’t give them something before ensuring it is safe. Make sure it isn’t too cold, don’t serve it directly out of the fridge, wash it properly and don’t give them more than one large or two smaller leaves in one meal. 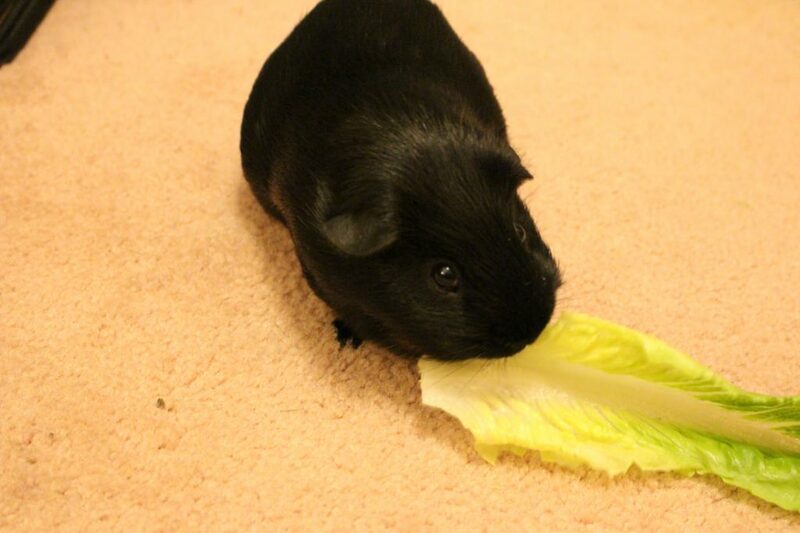 Lettuce doesn’t have a very long shelf life and if you give your pet more than they can eat in one sitting ensure that the rests don’t lay around for later since if it gets moldy it will become very dangerous. Speaking of this, only get the freshest ones and wash them really thoroughly as many pathogens survive on the lettuce. 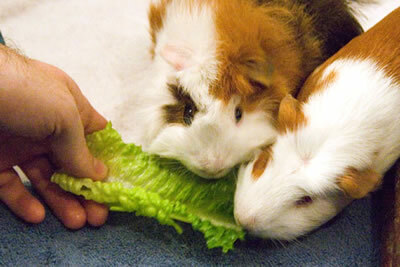 Lettuce doesn’t contain any harmful elements for guinea pigs and thus they can be a great addition to their typical diet but it shouldn’t replace the regular pellets they eat since this will lead to many deficiencies.